That is the question. For most the answer is clear. Whether it’s for a cappuccino or in a bath, foam immediately heightens the sensory experience and adds a touch of luxury, even to the most everyday products. A foamy substance is also easier to manage. This is particularly true for hair colour products, where drips and stains are a constant threat. Enter the Comb Foamer – a functional and elegant foam pump. Developed by Quadpack manufacturing partner Apollo using its patented technology, the Comb Foamer allows the user to easily spread the product over the desired area, with no mess involved. As the name suggests, it is designed with an in-built comb that can be angled as desired (up to 360 degrees) meaning a gloveless, hassle-free application that really gets into the roots. The pump is unlocked with a simple twist and dosage is fixed at 0.80cc per stroke. 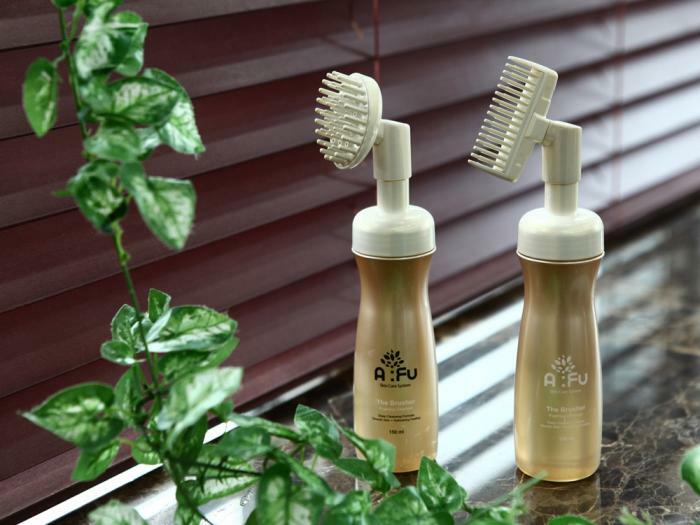 What’s more, as there are no metal parts in the product path, the Comb Foamer does not interfere with the hair treatment formula.